Are you planning to open up a school? 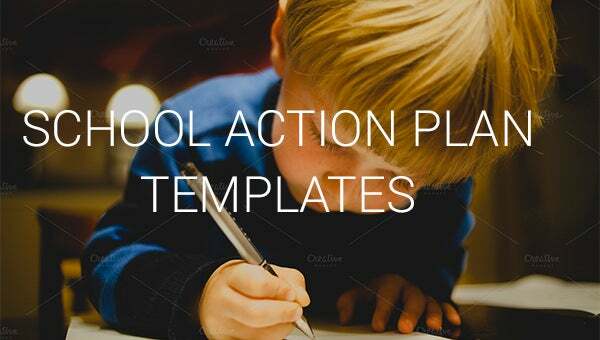 With free school action plan template you can make it concise, a rough drawing of the school can also be made with highlighting features that gives you lot of advantage in the long run. 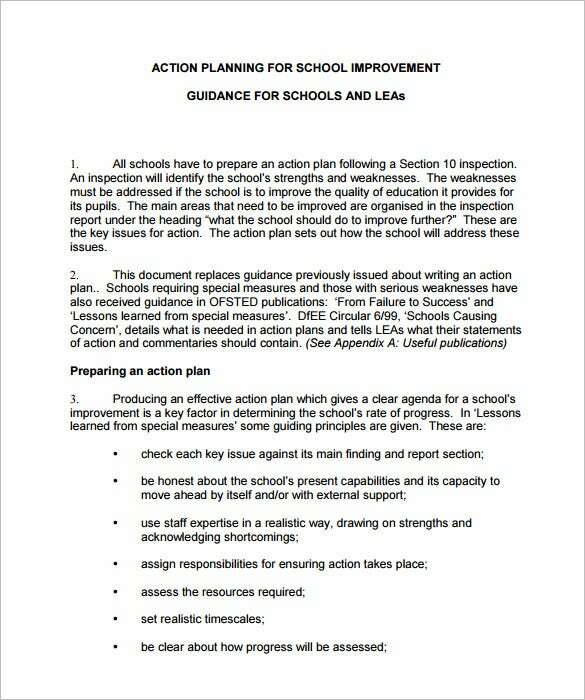 To download school action plan template you have to make all the necessary changes in the template. 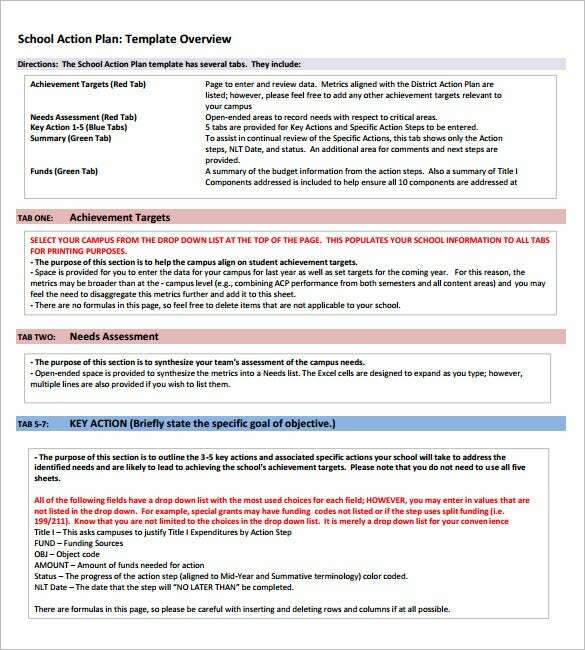 This school action plan template is available for free in word format. You can download it if you wish to start your own school and fill the blocks of this template to create your own proper plan. This primary school action plan template can help you greatly if you want to start your primary school. It is available in word and excel format. This template is customizable so you can add and remove any block according to your need. 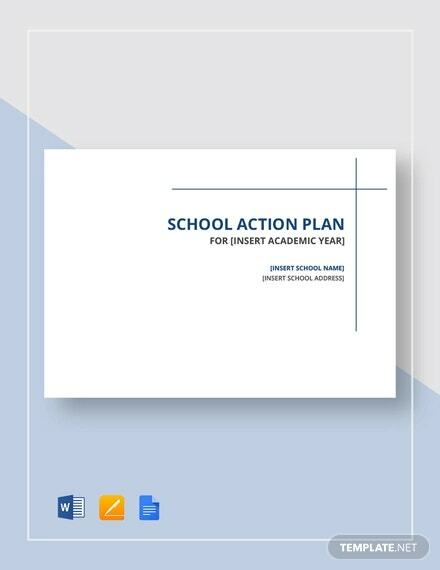 This school action plan template can be downloaded in PDF format. It has a colorful font in blue and purple to make it look more professional. Along with all necessary blocks it has a sample included in every block to guide you design one. 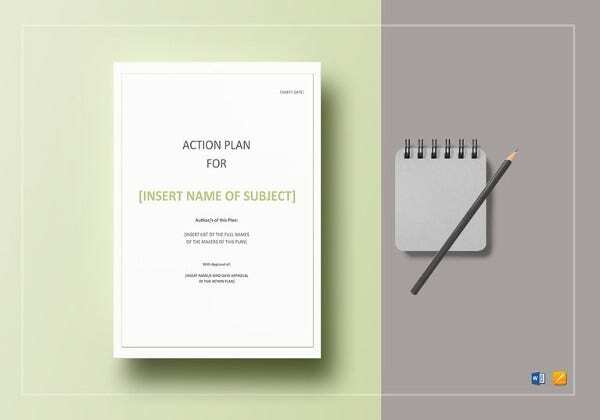 If you already own a school or work for one then this sample teachers action plan can help you get ideas on improving the school with proper examples that is already included in the template. 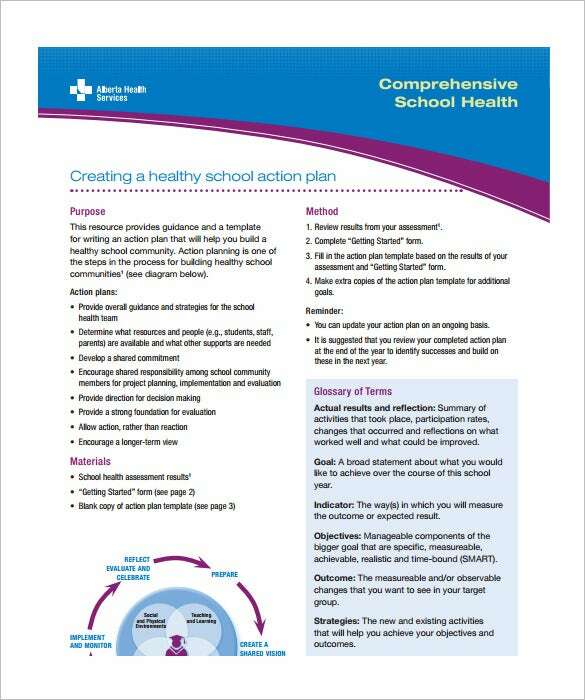 This free school action plan template is available in PDF and word format. 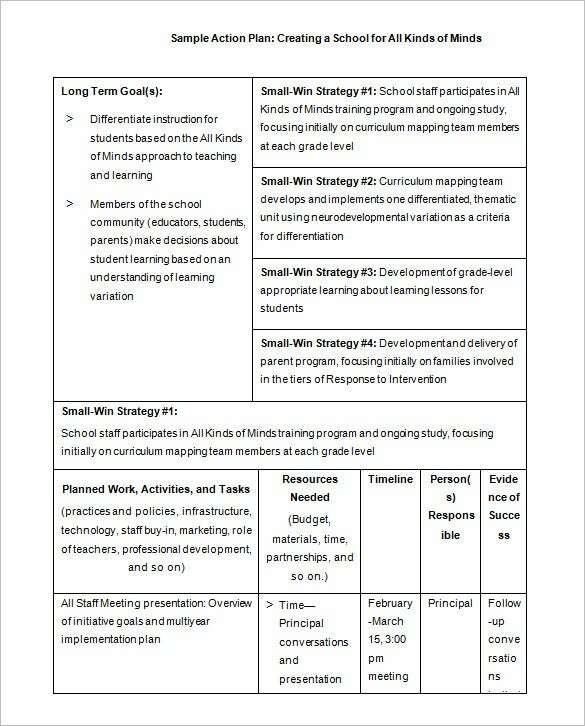 It has blocks for including achievement targets, need for assessment (if you already have a school), key actions and summery in different colored label headings. You can make the template a multi functional purpose theme whereby the logo of the school, colour and other details as deemed fit. School admission forms with criteria should also be included in the lesson plan. It gives a distinct taste to the idea of template. If you have any DMCA issues on this post, please contact us!